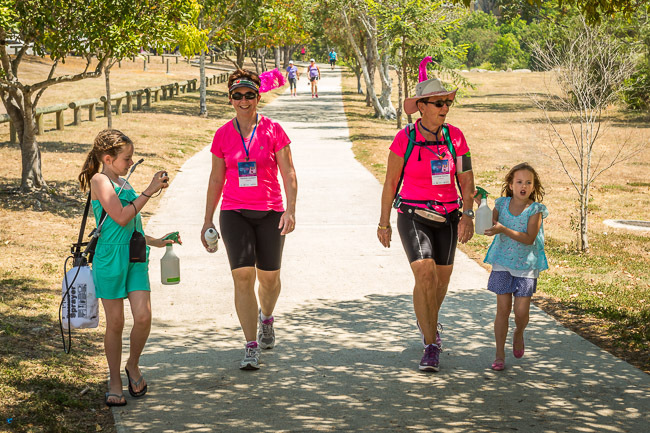 On the 25th and 26th of October I took part in The Weekend to End Women’s Cancers in support of QIMR Berghofer Medical Research Institute and the Royal Brisbane and Women’s Hospital (RBWH). This involved a 60km walk around Brisbane over the 2 days. The funds raised in sponsorship benefit research into all women’s cancers. This year 756 walkers took part and raised over $2 million. It was tough, hot and one week later I am still recovering, with some residual soreness and two blisters! Would I do it again? I believe very strongly in the cause and research into all cancers that affect women, however, having done it for two years in a row, I think I will crew next year! The Wesley Hospital had a team that crewed this year, so I might ask if I can join them in 2015. My mother and I walked together, with my husband Jeremy, our children and my father out supporting us.